Montessori is more than just an education style; it is a way of life that goes beyond the classroom walls. It’s important for parents to recognize this Montessori lifestyle, so that they can begin to build an authentic bridge that connects the gap between home and school. Here are some key Montessori principles you can incorporate into your daily life as a Montessori parent. A Montessori environment is characterized by an unmistakable atmosphere of peace, which in classrooms, is marked by certain features such as the peace corner, the peace rose, or the peace table. Parents can cultivate this peaceful climate at home by getting into a regular rhythm or routine to avoid the anxiety that comes with worrying about what might happen next. Parents who practice and model meaningful, courteous behavior, such as saying “good morning,” “please,” and “thank you,” will help reinforce their child’s mindfulness. A child’s sense of peace can also be improved by feeling a connection to nature. Parents are encouraged to take the time to stop anywhere with their child in order to observe and listen to nature, such as watching the sky change color as the sun sets or listening to an animal rustling through a bush. Positive discipline and child guidance are crucial Montessori principles to incorporate at home because they promote children’s self-control, teach children responsibility, and help children make thoughtful choices. A good example of a positive discipline technique that a Montessori parent can take to prevent misbehavior (in a child between the ages of 3 and 6) is acknowledging how the child feels, asking him how he thinks he would solve the problem, and then suggesting what they can do in future situations. For instance, a conversation with your child might go something like this: “I see you’re frustrated because you wanted to have a turn playing with the truck. When you want something that someone else has, what can you do?” This problem-solving approach to discipline corrects the child’s misbehavior while effectively guiding him in direction of self-discipline. There are five types of activities for young children that embody Montessori principles and aid in child development. These five activity styles can easily be incorporated into your daily life. Practical life activities include tasks like cleaning, making their own snack, washing vegetables, watering plants, scrubbing dishes, and cleaning windows. Eye-hand coordination activities include pursuits that work their hands in all sorts of different ways. Making a pasta necklace by threading, water pouring exercises, puzzles and a favorite for many children – locking and unlocking locks on a lock box or latch board. Arts and crafts activities include drawing, sand and clay molding, cutting shapes, painting, and sewing. Language activities include using baskets filled with classified objects in them and reading books, especially books that focus on daily life. Gross motor activities include fun indoor activities like balancing and yoga and outdoor activities like swinging, running, jumping, and sliding. These are just a few ways to help you get started on incorporating Montessori principles into your daily life. At Montessori Academy at Sharon Springs, our curriculum offers children a carefully prepared environment, rich in learning materials and experiences. We follow the eight basic Montessori principles that provide a foundation for the Montessori classroom experience: movement and cognition, choice, interest, avoidance of extrinsic rewards, learning from and with peers, learning in context, respectful teacher-child interaction, and order in environment and mind. We believe that what your child learns in class with the proper guidance can be reinforced at home with the proper environment, discipline, and activities. Winter Break is How Long? With Winter Break halfway behind us, many parents may be wondering how to fill some of the waking hours. Here are a few things you can do inside and out, so when you hear, “I’m bored!” scan the list for a few ideas. Inside scavenger hunts could include hiding parts of a building kit in different places in the house. Clues are given to the whereabouts of the pieces. Once all items are found, directions are given and your child can make his/her own creation. Outside scavenger hunts can be creating using a checklist and a camera. Create a list items found in your neighborhood (pine tree, roof top, red door, Spot the dog, etc.). Then take a walk together and have your child take pictures of each item. Once home, organize a digital presentation that your child can share with the family at dinner time. Homemade ornaments for the Christmas tree will create memories for a lifetime. Hands On As We Grow is filled with great ideas. Or, create birdfeeders for your trees outside. Turn your playroom into a grocery store, tea shop, or woodshop. It is a great way for siblings to play together. Dramatic play also helps children learn to problem solve and build their imagination. Working with blocks helps the child’s small muscle skills. It also allows the child to form mental pictures and the opportunity to recreate the image in concrete form. Paint, sculpt, and draw with seasonal crafts, or make your own Christmas and Thank You cards. You can even host an art show for the neighborhood children, creating an opportunity for them to show off their creations to their parents – a great way to build community. Use your recyclables to create your own robot, superhero, building, or anything else your child imagines. Allow him/her to draw out their design first, then collect their supplies and create their masterpiece. Create a contest in your house to see who can read the most books, and read together as a family. Take trips to the library to generate interest in new books and topics. To interact with your community, take a trip to the local nursing homes to read to the elderly. Take your family bowling. Check out the local bowling alley’s website for discounted days. Take the opportunity to explore what our local area has to offer with Atlanta’s holiday activities. We hope you enjoy every moment of the break together and have a wonderful holiday season! https://montessoriacademysharonsprings.com/wp-content/uploads/2016/01/logo.png 0 0 Judd Dunagan https://montessoriacademysharonsprings.com/wp-content/uploads/2016/01/logo.png Judd Dunagan2013-12-28 09:20:372016-08-29 13:32:18Winter Break is How Long? 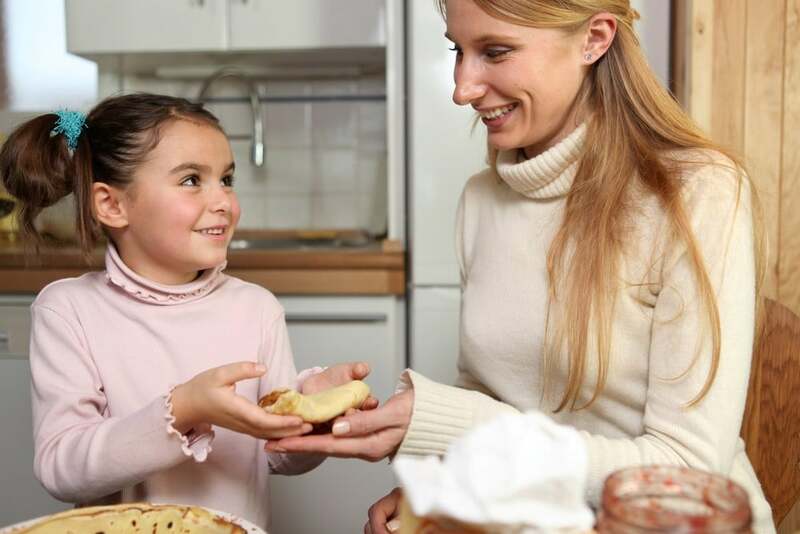 As we’ve discussed in our previous posts exploring nutrition, a vital element in educating children about food and healthy choices and encouraging independence is having your children participate in the preparation of meals. What better time than this week, with Thanksgiving only a few days away, to develop the habit of your children helping in the kitchen? My Kids’ Adventures, an excellent blog dedicated to equipping parents to make the most of moments with their children, offers suggestions for 12 classic Thanksgiving sides that are perfect for children to make alongside their parents. They also remind readers of the value involving the whole family in the planning of the meal – which not only increases enthusiasm for the dishes presented, but offers great hands-on experience in the practical steps needed to put a meal together. We hope you and your families have a wonderful Thanksgiving holiday! Today, we return to our Montessori Primer and our exploration of nutrition in the Montessori classroom. As we discussed in our previous post, lunch can be the most challenging meal for a parent to prepare. It’s easy to get stuck in a rut of sandwich after sandwich, or to lean on pre-packaged, processed food in fear that healthier options will be thrown away. Finding helpful resources and developing a plan are key to keeping lunches stress-free for parents and successful with little eaters. Lisa Leake, author of the excellent blog 100 Days of Real Food, offers fantastic tips for parents on mixing up the usual lunchbox routine with everything from smoothies to kabobs, all with nutritious ingredients that are easy and quick to prepare. She also offers tips for streamlining the prep of lunches, a multitude of great snack ideas (which can also be used to round out a lunchbox meal, or to keep mom and dad going throughout the day! ), and a wealth of other recipes, meal plans, and general nutrition resources – including tips on dealing with “picky” eaters! Please join us later in the week as we continue our Montessori Primer look at nutrition! Welcome, new readers! We are so glad you’ve taken a moment to visit our blog, where we regularly share rich, easily digestible info for families about Montessori both in the classroom and in the home. Today, we continue our Montessori Primer with an exploration of the importance of nutritious foods and the role they play in your child’s readiness to learn. Please join us on Monday when we’ll take a brief break from our Primer to roll out the welcome mat to our blog, highlighting the content we’ve shared and helping new readers get acquainted. No discussion regarding lunch is complete without looking at nutrition. It is easy to trade convenience in lieu of food value. For dinners, we put together meals that are balanced nutritionally for our family, but sometimes approach lunch by trading home cooked meals for pre-packaged options. Most parents fear that nutritionally rich items will simply go uneaten and be thrown away. Children should be involved in preparing their food. Let your child help you pick out the fruits and vegetables they choose to eat. Set up a station to help them prepare their meals easily. Teach them about how food fuels their bodies, and always teach them the importance of grace and courtesy. For more ideas on packing healthy lunches that children enjoy eating, visit Laptop Lunches, the makers of a bento-style lunchbox kit, who provide many useful tips on creating attractive and nutritious meals. On Monday, we began discussing nutrition and mealtime with an introduction to lunch time in the Montessori classroom. Today, we’ll examine steps you can take at home to help your child develop independence and master the skills required to meet his own fundamental need. Developing independence relies upon seizing teachable moments. Just as in the classroom, parents need to provide opportunities to teach their children how to care for themselves. Making lunches is one of those moments. It is a moment to improve your child’s vocabulary, teaching the nutritional value of what they eat, and food handling safety. Most importantly, children who prepare their own food are more likely to eat what they prepare. When considering your child’s lunch, there are two key things to keep in mind: your child’s taste buds and the small size of their tummies. Provide a variety of single foods rather than an adult-sized meal. Children are more apt to eat items in small portions (half a chicken breast cut into small pieces) than larger items (an entire chicken breast). We find that students will first partake of their crackers because they can be eaten individually without aid from a teacher. Children will not sit down and eat an entire apple at lunch, but they will eat a 2 slices. Small, separate portions let children combine foods in different ways. Children also love to dip their foods. Simple veggie dip with carrots, cucumbers, and broccoli can be a delicious treat for your child to eat on his own. Bread sliced into cracker size pieces with similarly sized pieces of meat and cheese or spreadable peanut butter and jelly allow your child to create her own sandwich combinations. Involving your child in the preparation of lunch ensures that lunch time will be more successful. Today, we move into a new area of our Montessori Primer: Nutrition and meals in the Montessori classroom. What makes Montessori lunch time different? Maria Montessori believed that meal time is also an opportunity for children to learn. From infanthood when children learn to sit independently, Montessori children are given child sized tables and chairs and are taught to feed themselves. They learn hands-on experience by using real glasses and plates. They practice signing please and thank you, as well as serving themselves and others. Recently we held a parent education evening addressing Montessori lunch time. Parents were able to gain insight from the teachers as to what is an appropriate lunch and what are the distractions children face during lunch time. See the Powerpoint presentation from our Parent Education night! Join us Wednesday as we continue our discussion of nutrition by exploring how you can help your child develop mealtime independence and skills. Maria Montessori believed obedience develops naturally in the child’s character. The word “obey” is derived from the Latin word audire, which means “to hear.” Obedience begins with hearing a request and ends with an action in response. Humans learns skills in stages. We tend to move between the stages, repeating the activity, gaining new skills, until we can do it with no further instructions. First Stage: We are introduced to a new activity and have assistance to complete the activity correctly. Second Stage: We choose do an activity but do not always take the initiative to do it (needs reminders). Third Stage: We know what we need to do and do it without asking. Does this sound familiar? Or have these words ever come out of your mouth: “How many times do I have to remind you to…?” Sounds like Stage 2, doesn’t it? Children will move through these levels back and forth until they have internalized the rule, and it becomes a natural pattern of behavior for them. Montessori believed that before children could learn obedience, they needed to be able to control their urges. As she stated, “If he cannot obey even his own will, he cannot obey the will of someone else.” At this stage, the child will be both obedient and disobedient to parent commands. For parents, this is the first time they hear, “No!” from their child. Parents can help support this stage of development by encouraging their child to be independent (walking by themselves instead of being carried, putting himself to sleep/self-soothing, and using their words to express their needs are all examples). Montessori believed that at this stage the child can always obey, because he is now in control of his body. He can now take directions by his own will or that of another. Children at this stage of development will be seen by adults in their world as being very compliant. The child is helpful and does not want to disappoint. Although at this stage many parents feel a sense of accomplishment, children will move back to stage one and up to stage two a few times. Parents who have heard these words, “I forgot how to tie my shoes,” know how frustrating this process can be. Be patient. They will move back to this stage and into stage three. The most important thing to remember is to encourage the child to keep moving forward in his development. Responses such as, “I believe in you. Try again,” will do wonders to keep development moving forward. Joyful obedience is the term Montessori used to describe this stage. The child at this stage is obedient not because of external forces, but because he has developed a high level of self respect. He makes appropriate choices in the absence of adult presence. At this stage parents are encouraged to support relationship and observe how the child handles himself. A parent and child are at a park. It is time to leave. Child begins crying. Parent reiterates it is time to leave and explains they will come back again soon. Child stops themselves from crying, and they go home. Encouraging this type of development may seem like a daunting task, but it is a very important one. Learning how to self-regulate and to become obedient to themselves is important to raising healthy, independent adults. In an earlier post, we addressed the Montessori principle of avoidance of extrinsic rewards and cultivation of intrinsic motivation. Today, we dig deeper into this idea, exploring the appropriate role of praise in our interaction with the child. All parents want their children to be independent, self-reliant, and have the opportunity to be creative. In an effort to support the child, parents often say “good job” for the simplest successes. However, praising interferes with natural learning and come become a form of control. Children learn their actions are celebrated and can begin to perform for adults versus interacting with them. Studies have shown that children’s motivation, creativity, social interactions, and overall cognitive functioning are negatively affected by extrinsic rewards and false praise. Children know when they deserve the praise or recognition for a job well done – they also understand when do not deserve it. Many times children will stop performing or begin acting out because they feel there is no standard they must reach. So remember…we should encourage and display gratitude instead of praising the smallest tasks. Your children will thank you for it later in life! For more information on this topic, please read “Five Reasons to Stop Saying ‘Good Job’” by Alfie Kohn, a leading author and speaker on education, parenting, and human behavior. Please join us on Friday as we discuss How to Reach Joyful Obedience.